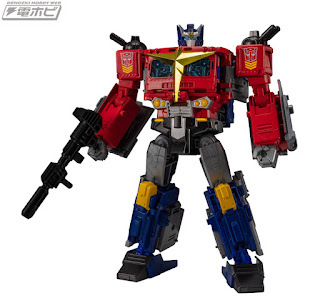 Images of a new Star Convoy toy were all over the place today as his release as a Generations Select is imminent. Made from the Power of the Primes Optimus Prime, the toy is gorgeous. The POTP Optimus toy was already great looking as is, but with the Star Convoy additions... dang. 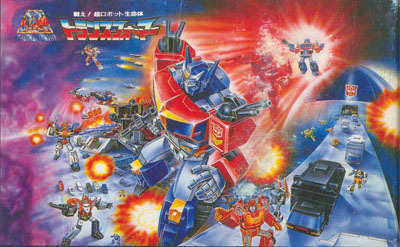 I'll be trying to get one of these upon it's release as Star Convoy is one of those forever awesome Transformers to me. Forever awesome. There's a bit of a dual homage going on here. Sure, in evolution mode, that's a super Star Convoy update. 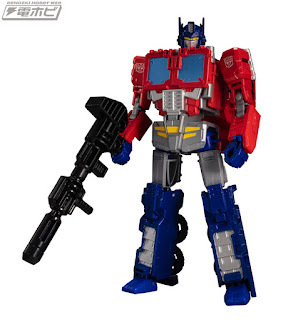 Though I noticed the standard robot mode, with the new parts to turn the Orion Pax into a traditional Optimus Prime, they've almost replicated the old Battlestars/Return of Convoy back of box art. I'm not sure if that was the intent, but it sure is neat. Here's hoping it comes with a Micromaster Hot Rod.